Healthaid HEALTHAID MALE FORMULA Product #: SOM Price: Rs.1570.50 Rs.1570.50	Available from: SAVEONMEDICALS.COM In stock! Order now! Male Formula Tablets by HealthAid is an all-natural alternative for those seeking better sexual performance. 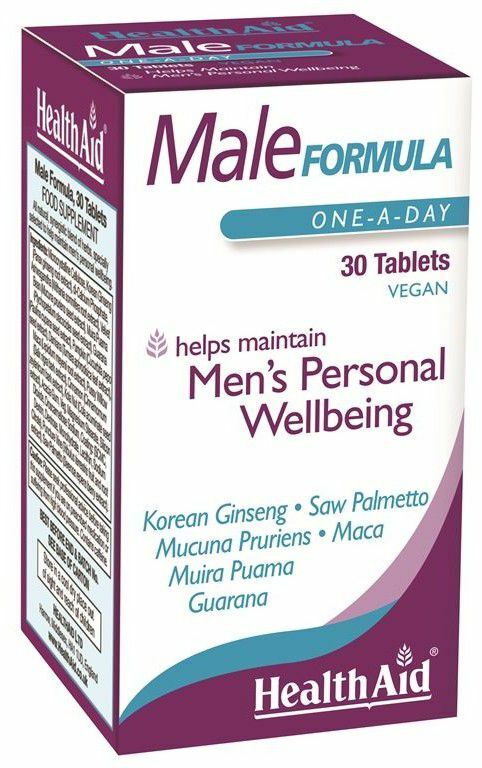 Male Formula Tablets increases blood flow in the body, including genital circulation, heightening arousal and sensitivity in men. The formula can increase strength, stamina, energy, sensuality and performance, help with impotence and stimulate sexual energy. The combination of herbs, in this unique formula, may help provide the extra energy you need for better sexual performance. What is the frequency of use of HEALTHAID MALE FORMULA? Have you been prescribed HEALTHAID MALE FORMULA by a doctor? How do you rate HEALTHAID MALE FORMULA on price? Q1) Is HEALTHAID MALE FORMULA effective? Q2) What is the frequency of use of HEALTHAID MALE FORMULA? Q3) Have you been prescribed HEALTHAID MALE FORMULA by a doctor? Q4) How do you rate HEALTHAID MALE FORMULA on price? Q5) What is your overall rating of HEALTHAID MALE FORMULA? Is HEALTHAID MALE FORMULA effective?